Warning: major spoilers ahead for Episode 18 of Arrow. Season 4 Arrow has been a bumpy ride, but there’s been one plot that has made it easy to keep eyes on the prize. The flashforward at the end of the season premiere featured a tearful Oliver looking wrecked in a graveyard, joined by a Barry Allen showing up to express condolences. For the past 17 episodes, we’ve had to wonder and theorize and speculate about who would die. The only people who were officially out of the running were Oliver, Barry, and eventually Felicity. Now, we know the truth, and Arrow is never going to be the same: Laurel Lance was murdered by Damien Darhk. 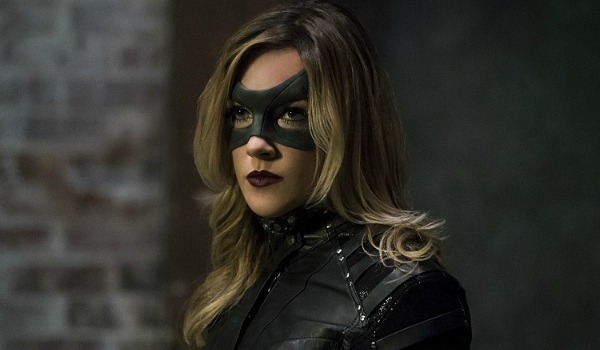 As of “Eleven-Fifty-Nine,” the Black Canary of Arrow has cried her last. Her death was actually rather difficult to watch. The rest of Team Arrow were held helpless thanks to Damien Darhk's magic and machinations as he stabbed Laurel in the abdomen with an arrow of Oliver's, and it was both insulting as well as vicious...which is how it needed to be. Darhk killing a member of Team Arrow had to be awful and ugly and abhorrent, and Arrow did a good job with a bad thing by making it truly despicable. Laurel's death was foretold from the beginning of the season, and Arrow actually deserves some credit for paying off on a promise. Damien Darhk swore to Quentin that he'd kill Laurel if Quentin crossed him; Quentin crossed him, so Darhk killed Laurel. At least Laurel had some agency in her final moments in the field by fighting the good fight to the very end. Arrow hasn't always treated the deaths of its female characters particularly respectfully, so Laurel's death could have been exponentially worse if she'd been blatantly killed just for the sake of another character. Laurel deserved a good death that would mean more than just motivation for those who would survive her, and "Eleven-Fifty-Nine" gave her that. Even if she was ultimately killed because of her father's actions rather than for her own heroics, this Lance sister got a much better end than an execution in the manner of Sara and Shado and even Moira. The stakes for the rest of Season 4 are now almost impossibly high. As tragic as it is that yet another one of the good guys has been killed off of Arrow, Laurel got to go out doing what she loved with people she loved in the interest of the greater good. It was a better end than Sara and plenty of other characters have gotten, and we can be sure that the rest of Team Arrow will make sure that her killer and his evil organization will not go unpunished. Arrow returns on Wednesday, April 27, on The CW. Are You Sorry To See Laurel Go?